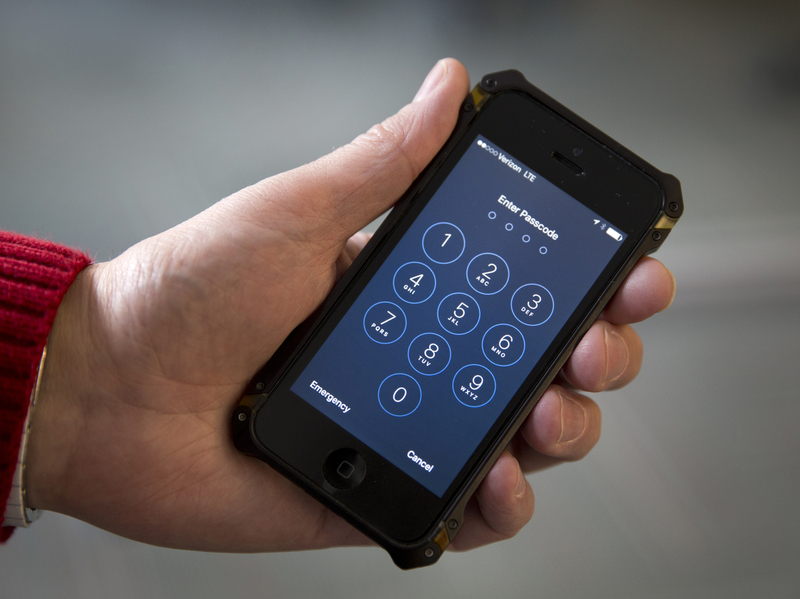 Apple Vs. FBI; FBI May Be Able To Access iPhone Without Apple's Help : The Two-Way A federal judge has postponed a hearing set for Tuesday that would have been the next step toward settling the battle between Apple and the FBI. A judge agreed to the federal government's request to delay a court hearing scheduled for Tuesday in order to test a possible method for unlocking Syed Rizwan Farook's iPhone. The FBI says it may have found a way to crack into the iPhone of one of the San Bernardino terrorists without Apple's help. While it explores this option, a federal judge has postponed Tuesday's hearing that would have been the next step in the battle to get Apple to follow a court order to cooperate. The FBI says that on Sunday, an "outside party" demonstrated to the FBI a "possible method for unlocking" Syed Rizwan Farook's iPhone. The government's court filing to delay the hearing adds, "Testing is required to determine whether this is a viable method that will not compromise data on Farook's iPhone. If the method is viable, it should eliminate the need for the assistance from Apple Inc."
The FBI is not asking to dismiss the case, just for time to test the new option. The government has been ordered to file a report on the status of the testing by April 5. "Our top priority has always been gaining access into the phone used by the terrorist in San Bernardino," Department of Justice spokeswoman Melanie Newman said in a statement. "With this goal in mind, the FBI has continued in its efforts to gain access to the phone without Apple's assistance, even during a month-long period of litigation with the company." Newman emphasized that further testing is necessary, but said the federal officials "remain cautiously optimistic." "That is why we asked the court to give us some time to explore this option," she said. "If this solution works, it will allow us to search the phone and continue our investigation into the terrorist attack that killed 14 people and wounded 22 people." Apple attorneys said Monday night that the company doesn't know what technique the FBI is testing. If it works, they hope the government will tell Apple what method was used, but the FBI might decide not to share it.